Hi, my name is Brittany. 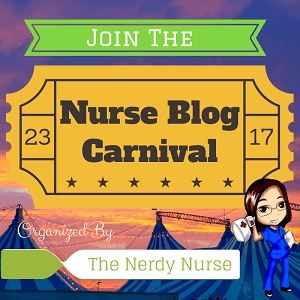 I have been a cardiac intensive care nurse for four years now (just beyond the stages of being a newbie, but not quite to the stage of being a veteran) and have had some of the best experiences in my unit, personally and professionally. I have been married to the love of my life for almost 4 years now and added a beautiful little girl to the mix in November 2014. Nursing is one of my passions and I hope to be able to motivate and support those that share the same passion. I created this nurse lifestyle blog to share my story and journey to provide motivation, support and strength for those fellow nurses (or those who aren’t nurses) who end up in my situation. No, it’s not sad, just stressful, busy, time consuming and sometimes, very lonely. About a year ago I started an intense 2-year graduate program…while four months pregnant…and continued to work. I would have to say that this past year has been one of the most stressful, life changing, wonderful years of my life. It has pushed me to limits that I thought I would never reach and has tested my patience, perseverance and resilience. Don’t get me wrong, my husband and I have always wanted kids but AFTER I completed grad school. Not before, and definitely not during. But, it happened and we couldn’t be happier with our little addition. In this blog I plan to share some experiences I had previously and upcoming in regards to being pregnant and going to school, navigating new motherhood and balancing school, being a mommy (and wife) and being a full time nurse. 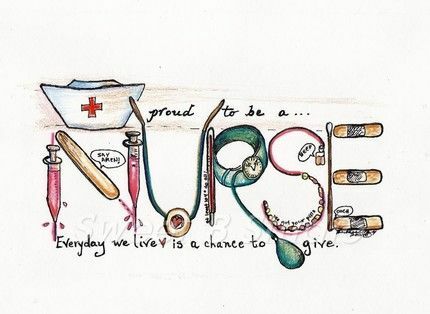 Nursing is a lifestyle that we nurses dedicate ourselves to, to be the best nurses we can be, and a lot of the times, our family life, health, or future plans suffer because of it. My goal is to provide readers with theses experiences and discussions to assure them that nurse life can be busy and stressful and seem sometimes seem impossible (especially with children), but it all can be done and be fun and even luxurious (at times)! The life of a nurse is like none other, and you are not alone in your fight. I’m glad I met you too Pennie! Hope everything is going well!! I found your blog from Instagram today (kleestone). I’m making a career change to go into nursing and found this to be very inspirational. You rock! Thanks! I’m glad it has been motivating! Are you enjoying the career change? I have a very similar story to yours. I got pregnant while in my last year of the FNP program and working full-time. I look forward to reading your posts and more about your journey!